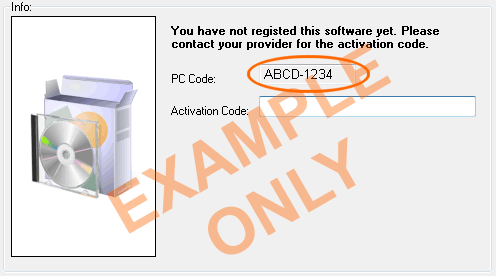 In order to prevent unauthorized use of the software, each installation of Sign Command requires a unique activation code. This security measure helps to ensure that your display cannot be changed by a third party. If your sign shipped in 2017 or later, it most likely uses the SignCommand.com Cloud-based Software. SignCommand.com and this software are not compatible. Please see our Software page to ensure you are selecting the correct software. An upgrade package to our cloud-based software is available. You must first download and install the software before you are able to activate it. If you do not already have the software, it is available for download on the Sign Command (PC-Installed) page. The PC Code can be found by starting the Sign Command software for the first time.